but none of them opened. what such a thing was. to read it now. Should we read it? Or should we strike it? and poured it down the front of my blouse. Susan chose to share “Trigger Warning” with us as it is the favourite poem of her friend Masarah Van Eyck, to whom Museum of Kindness is dedicated. from Museum of Kindness by Susan Elmslie, shortlisted for the 2018 Pat Lowther Memorial Award. Susan Elmslie’s first trade collection of poetry, I, Nadja, and Other Poems (Brick, 2006), won the A.M. Klein Poetry Prize and was shortlisted for the McAuslan First Book Prize, the Pat Lowther Award, and a ReLit Award. 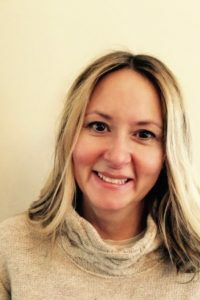 Her poems have also appeared in several journals and anthologies—including the Best Canadian Poetry in English (2008, 2015)—and were collected in a prize-winning chapbook, When Your Body Takes to Trembling (Cranberry Tree, 1996). She lives in Montreal and teaches English literature and creative writing at Dawson College. 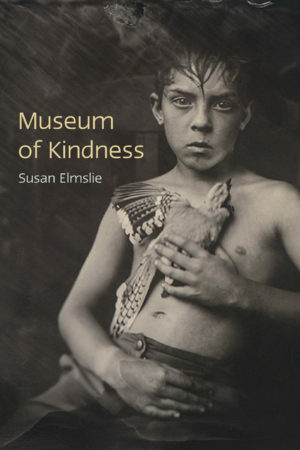 Museum of Kindness is her second poetry collection.